I’m in Canada for a week and I thought while I’m off gallivanting, may as well post a few whisky cocktails – a bit of a departure from my usual style. We began with a classic – Old Fashioned – full of ice! In an old fashioned glass, drop a sugar cube and add the bitters. Break the sugar and mix well. Pour in the whiskey and fill with ice. Gi e it a quick stir to mix well and add more ice if necessary. Release the oils from an orange peel and drop. 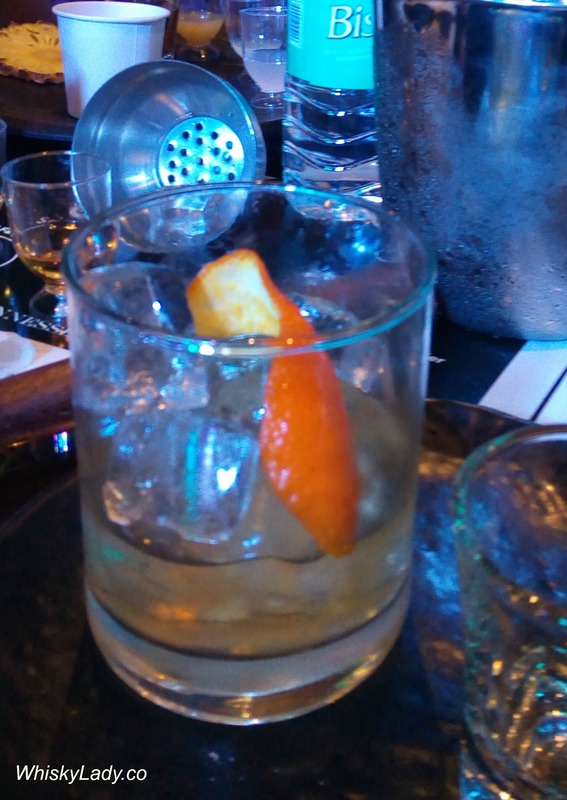 This entry was posted in American, Beyond Scotland, Whisky General and tagged American whiskey, Cocktails, DISCUS, Old Fashioned, Whiskey cocktails by Carissa Hickling. Bookmark the permalink. I absolutely love an old fashioned – the ultimate classic. Fantastic blog post too! Great to hear and many thanks! !